In today’s dynamic business environment, the business processes are getting complex raising the need of better availability and improved responsiveness at reduced operational costs. Globalization has enforced modern enterprises to work regardless the confines of geographical boundaries. Matrix Enterprise IP-PBX range empowers Large Enterprises to experience the benefits of IP and GSM/3G with legacy networks and variety of subscribers. The range offers the flexibility and set of advance features to change as per the evolving needs of dynamic businesses. This empowers employees to work from home, start-up offices and remote locations uninterrupted. ETERNITY GE, the advance communication system, offers convenient features and flexible functionalities to large businesses in line with their changing needs. The reliable architecture and easy to use platform delivers the unmatched performance to meet the needs of controlling costs and managing operational expenses. ETERNITY GE supports any combination of TDM, IP and GSM trunks and subscribers along with networking of multiple systems across locations. Avail the Flexibility and Cost-effectiveness of IP Telephony to control operational expenses. ETERNITY ME, the advance communication system, offers convenient features and flexible functionalities to large businesses in line with their changing needs.The reliable architecture and easy to use platform delivers the unmatched performance to meet the needs of controlling costs and managing operational expenses. ETERNITY ME supports any combination of TDM, IP and GSM trunks and subscribers along with networking of multiple systems across locations. ETERNITY ME outruns competition for mission critical applications such as corporate, government entities, call center and power line communications with its hot-swappable cards based architecture and optional redundancy. 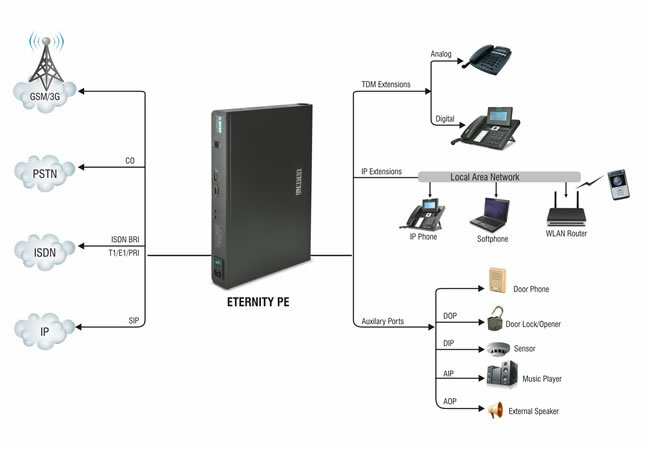 Besides TDM and IP interfaces, ETERNITY ME supports legacy interfaces such as E&M and Magneto interfaces. ETERNITY LE is a powerful enterprise communications solution that supports advanced applications,true business mobility and designed to scale to meet the needs of growing businesses.It is a future-proof,reliable,flexible and easy to manage voice communication system. It is an ideal solution for medium-sized businesses aspiring to be large,large corporations,large hotels and hospitals. The advanced call capabilities and comprehensive enterprise-grade features enhance customer responsiveness while improving efficiency and reduce costs. ETERNITY PE is a versatile IP-PBX platform based on universal slots architecture offering variety of trunks and extensions.ETERNITY PE is ideal for any small to medium business with 24 to 48 users. 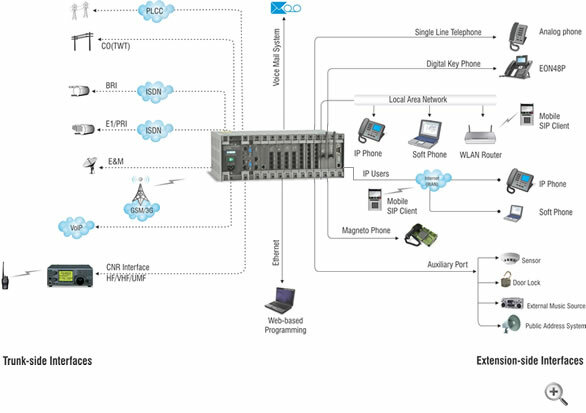 Organization can flexibly connect FXO,GSM/3G,VoIP,ISDN BRI and T1/E1/PRI trunks and select from user extensions such as Analog Phones,Digital Key Phones,IP Extensions in any combination as per communication requirements. In today’s competitive business scenario,small businesses need an efficient phone system that can increase employee productivity,reduce telephony costs and provide high-endcall management features. 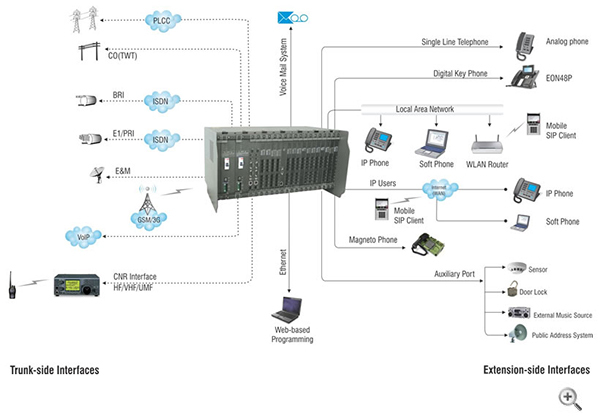 Matrix ETERNITY NE is a next generation IP-PBX for small businesses sized between 6 to 32 users. A small yet powerful IP-PBX,ETERNITY NE provides all business-class telephony features to be productive,look professional and enhance customer services. NAVAN CNX200 is an all-in-one office solution for small businesses and enterprise branch offices with up to 24 users.It combines the functionalities of IP-PBX,Data router,Wi-Fi access point,VoIP-GSM gateway,VPN and Firewall Security in a compact and converged platform.A true office-in-a-box,CNX200 innovates the way small businesses communicate and manage infrastructure,so that they can increase productivity,lower costs and enhance collaboration with customers and suppliers. 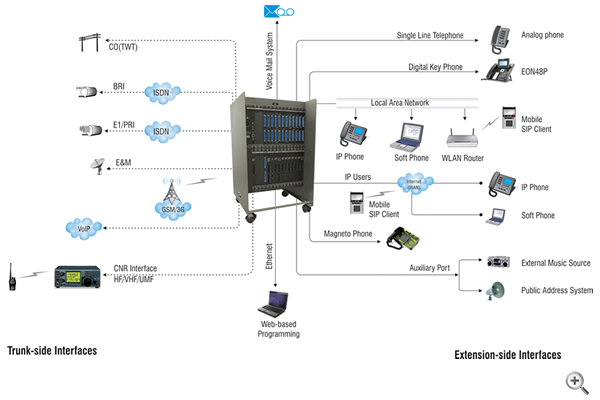 CNX200 enables small offices and branch offices with business-class IP telephony, wireless mobility,high speed internet accessibility,enhanced security and remote site connectivity from an affordable and easy to manage platform. CNX200 integrates voice and data services together so that service providers can offer managed communication services and broadband internet over leased line or 3G/HSPA as a bundled solution to their customers. Matrix EON Series of Digital Key Phones are elegantly designed to offer reliable performance,quality of business communications and efficient call management. With a unique blend of style and substance,Matrix EON is suitable for office professionals,supervisors,mid-level managers and executives within organization. 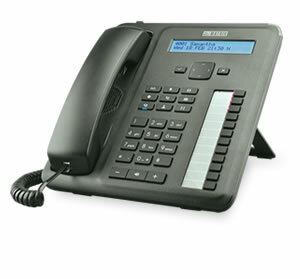 Specialized to work with Matrix ETERNITY range of IP-EON provides High Quality Speakerphone,Programmable Feature and DSS Keys,Corporate Directory,Message Wait Lamp,Voice Mail and Intuitive User Interface.These phones play a substantial role in dropping the cost of your communication solution. Matrix EON Digital Key Phones are available in four variants – EON48S,EON48P,EON310 and EON510. EON48 delivers Easy-to-use features and superior voice quality for communication convenience. This Digital Key Telephone provides flexible LCD Display,HD audio quality,64 keys expansion module,Headset Connectivity for increasing Staff Productivity and Efficiency. The Feature-rich Deskphone is best suited for deployment in all small to medium sized organizations such as restaurants,hotels,retails and financial institutions. EON48 delivers Easy-to-use features and superior voice quality for communication convenience.This Digital Key Telephone provides flexible LCD Display,HD audio quality,64 keys expansion module,Headset Connectivity for increasing Staff Productivity and Efficiency. EON310 is an Executive Digital Key Phone designed to deliver feature-rich, reliable and streamlined business communications. Sophisticated design, classy looks and crystal-clear audio makes EON310 an easy choice for executives wanting to add digital endpoints. EON310 works in tight integration with ETERNITY IP-PBX systems for speed of operations and better workforce collaboration. 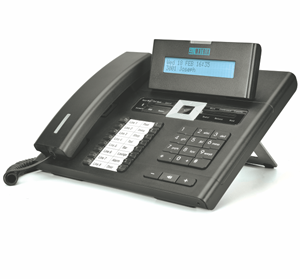 EON310 features a 2 Line LCD Display, Direct Station Selection (DSS) Keys, 3.5mm Headset connectivity, High Quality speakerphone and high definition voice quality. The Smart and Intelligent Deskphone is best suited for deployment in all small to large sized organizations such as call centers, hotels, manufacturing and financial institutions. 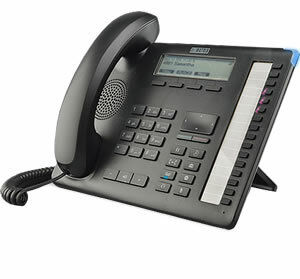 EON510 sets the benchmark for quality performance with elegant design and crystal-clear voice.EON510 features a vivid LCD Graphical Display,Direct Station Selection (DSS) Keys,32 keys expansion module,3.5mm Headset connectivity,High Quality speakerphone and high definition audio quality. Engineered to deliver full feature access of Matrix ETERNITY IP-PBXs,EON510 acts as a face of your communication system covering wide array of business environments. The State-of-the-art Desk phone is best suited to deployment for Reception,Concierge,Supervisors,Managers,Executives,Call Center Agents and Office professionals.These phones offer flexibility to streamline communications and attain higher return over investment.